Having run the Windows 8 Consumer Preview on my laptop for about six months I was certain that when the final version was released I would definitely upgrade my desktop PC to Windows 8 Pro. And given that there is no good time to upgrade I did it at the latter end of last week, mainly to take my mind off the unpleasantness of recovering from the ‘flu. It all appeared to be going swimmingly well until I suddenly realised that I had no sound. Which was strange as the Windows Vista soundcard drivers installed without fuss and… well, I say that there was a strange few minutes after I’d installed them and rebooted whereby the speakers were continually hissing. Poking around in the Control Panel Sound applet I discovered that the “Recording” tab had Line-In 2/Mic 2 activated, which appeared to be the source of the hiss. No hiss. In fact, no sound at all. This time on the “Playback” tab SPDIF Out had been selected rather than speakers. I discovered that I could coax the sound back if I fired up the Creative Audio Control Panel application and manually change the playback mode. 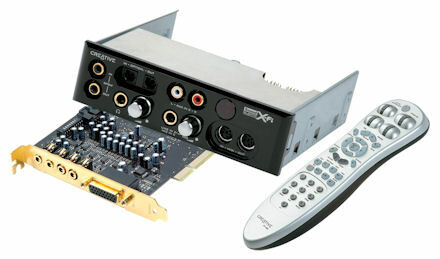 After each reboot the soundcard was ‘forgetting’ the settings and returning to game mode and 2.1 speakers, rather than entertainment mode and 5.1 speakers. Uninstall, re-install. Same problem: a forgetful soundcard. It turns out I’m not alone in discovering this. A few forums have pages of discussion about the problem using Creative X-Fi soundcards under Windows 8. This thread was particularly helpful: Windows 8 Pro x64 Retail No Sound after Restart Creative X-Fi Titanium HD Driver. The workaround I’m currently using is to use a free, third-party application called X-Fi Mode Changer from Spectra9 to automatically set the playback mode each time Windows reboots. So far, for me, this has worked without fail. I do hope, though, that Creative are able to address these issues with the final driver for Windows, which their website says should be available in late-December 2012. I’m not holding my breathe for it, but I am thankful for this workaround.